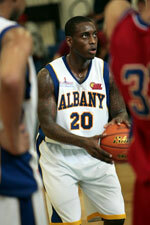 Al Karkh (IBL) inked 27-year old international forward Dhulfiqar Al-Hchaimi (202-91). He played most recently at Nift Al-Janoub. The previous (16-17) season Al-Hchaimi played at Al Mina (Superleague). 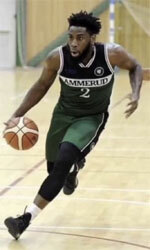 A very good season in his career as he was awarded Asia-Basket.com All-Iraqi League Domestic Player of the Year, selected to 1st Team and selected to All-Domestic Players Team. His team won Iraqi League Regular Season in 2016. Al-Hchaimi has been also a member of Iraqi international program for some years. He has regularly played for Iraqi senior team since 2014 and previously for U16 National Team back in 2011. Al-Hchaimi played at the WABA Club Championships last year. His stats at that event were 5 games: 11.0ppg, 5.4rpg, 1.0apg, 1.6spg, FGP: 40.5%, 3PT: 30.0%, FT: 58.3%.